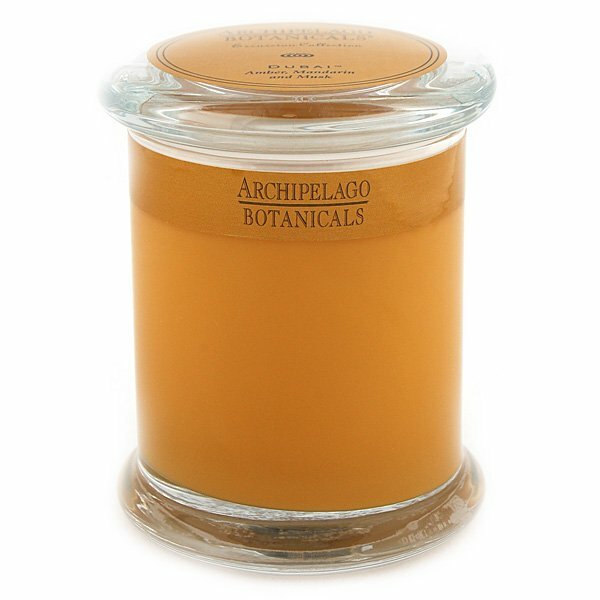 Archipelago Dubai Candle emulates the exotic scent of the Middle East, blending amber, mandarin and musk. Inspired by favorite destinations from around the globe - Archipelago Excursion Collection boasts full, complex fragrances and bold color, guaranteed to transport you to new worlds. 60 Hour Jar candle is poured in a beautiful apothecary style glass, complete with snuff lid, using only the finest ingredients and fragrance oils available.